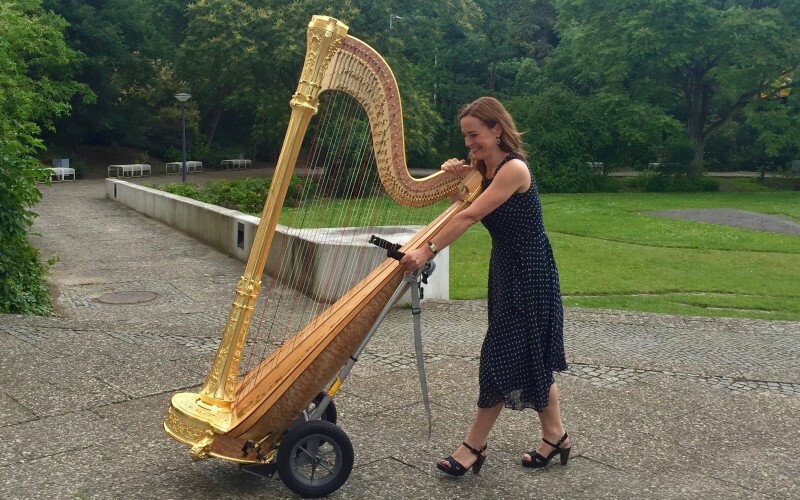 The harp is this year’s Instrument of the Year here in Germany and it’s a perfect opportunity to feature this gorgeous instrument on Sarah´s Music. 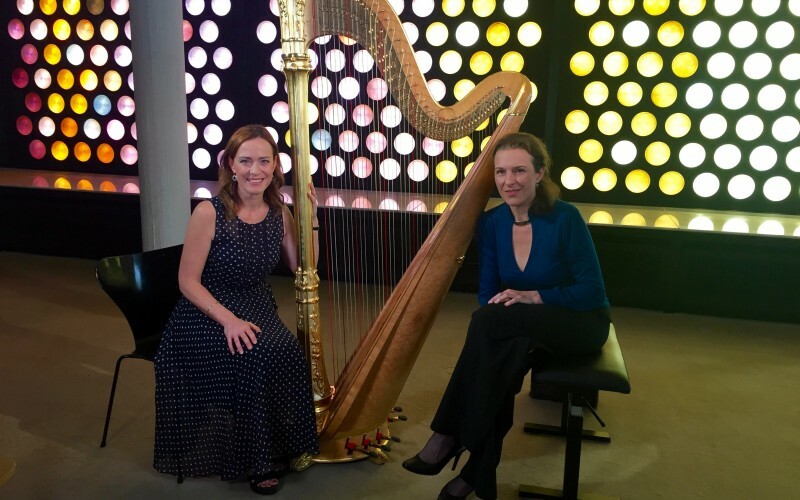 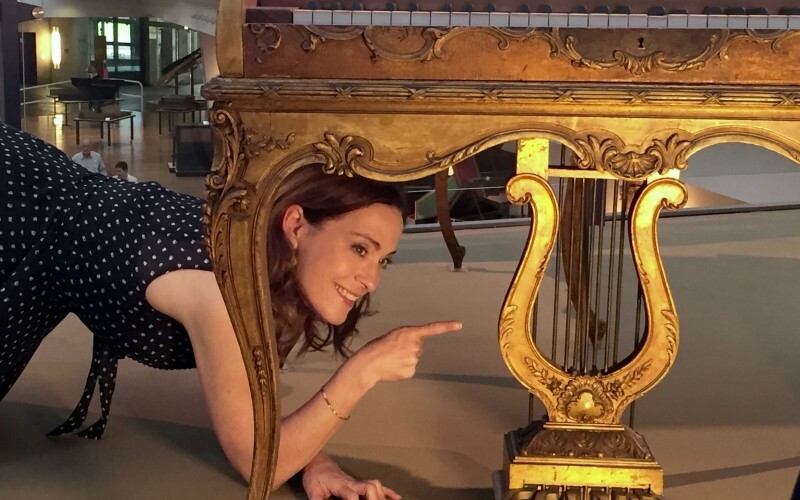 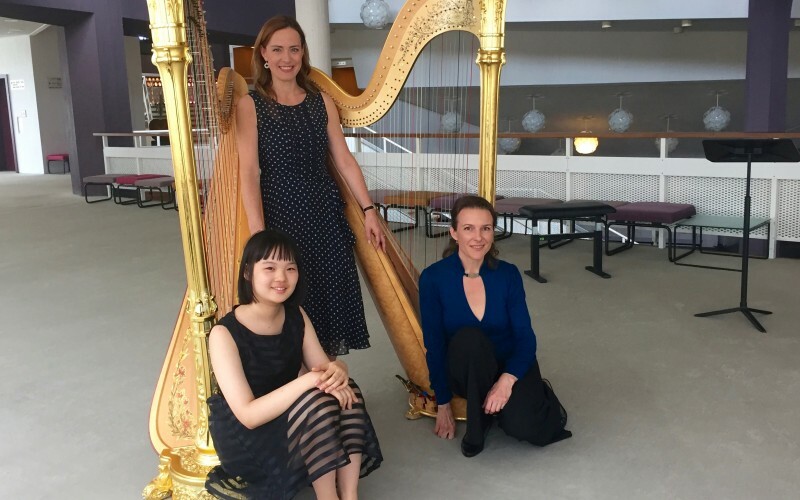 I’m lucky to play in the same orchestra as one of the best harp players in the world – Marie-Pierre Langlamet – so she was the obvious choice to tell us more about her lovely instrument. 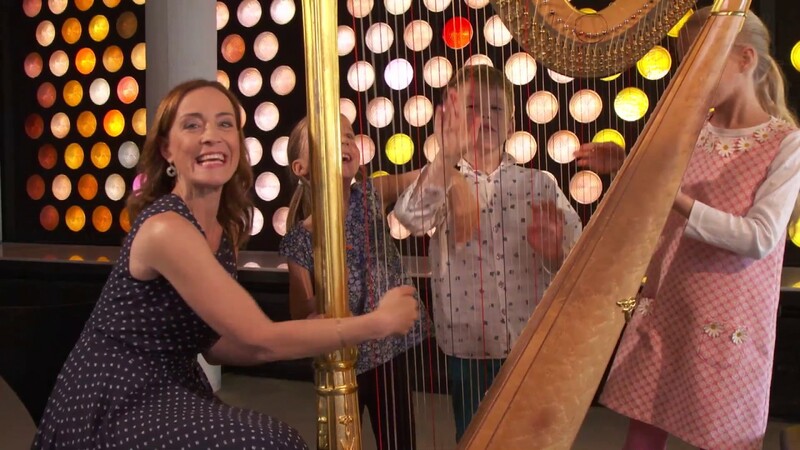 My wonderful editors, Magda and Kevin, made the little montage for this episode showing the often surprising uses of the harp. 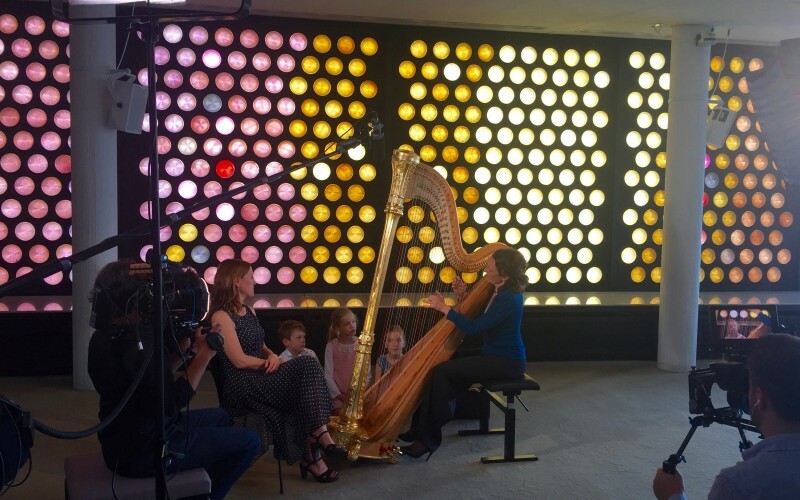 Minnie Mouse is one of the most elegant harpists ever, Harpo Marx makes me smile every time and I’d never heard jazz or Latin harp before. 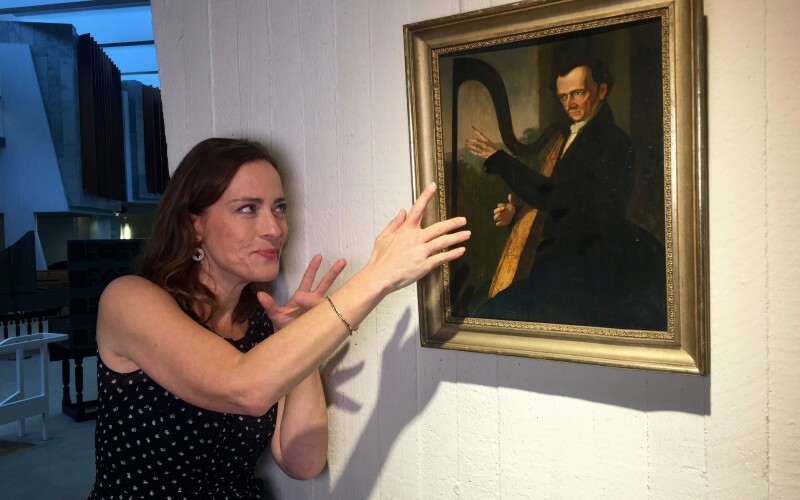 And Tulani…wow! 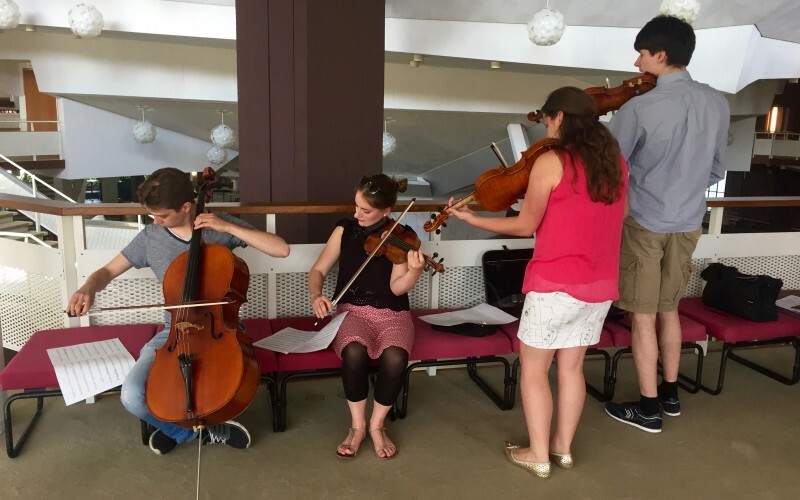 Thanks to Anna Mehlin for organising the string quartet to accompany Marie-Pierre and her student, Joan. 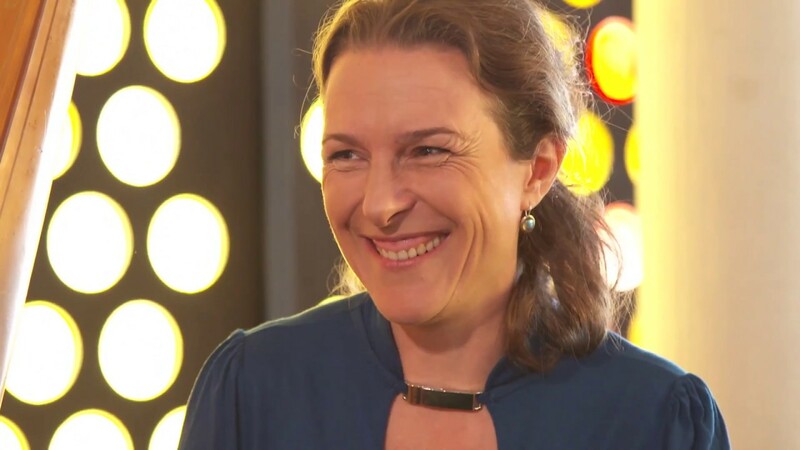 This was one of Anna´s last appearances as an Berlin Phil Academist – she has just won a job in the second violin section – congrats Anna! 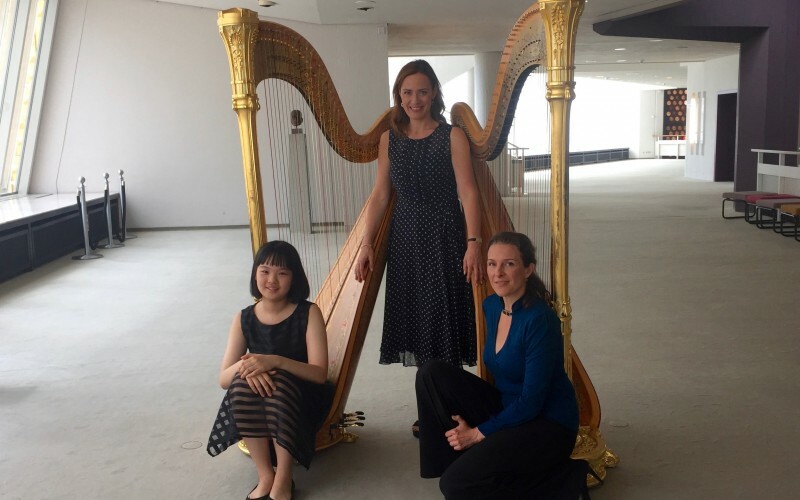 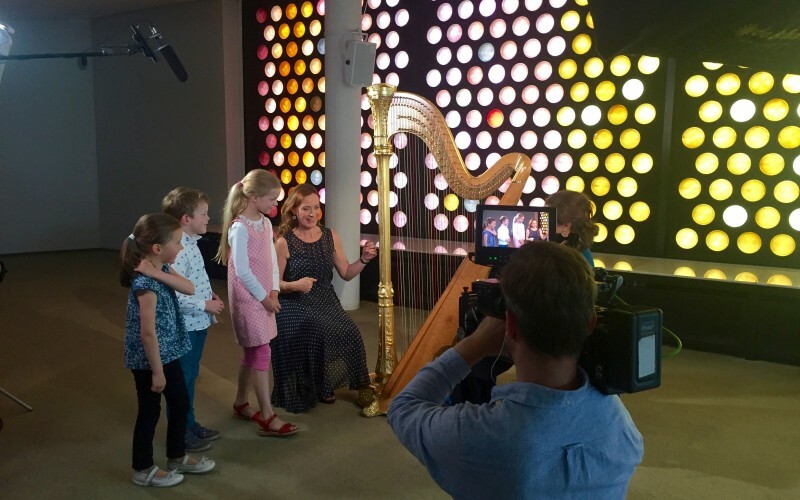 Also thanks to Carlotta, Fridolin and Romy for taking the Harp Challenge (a rest for the Horn Challenge this week). 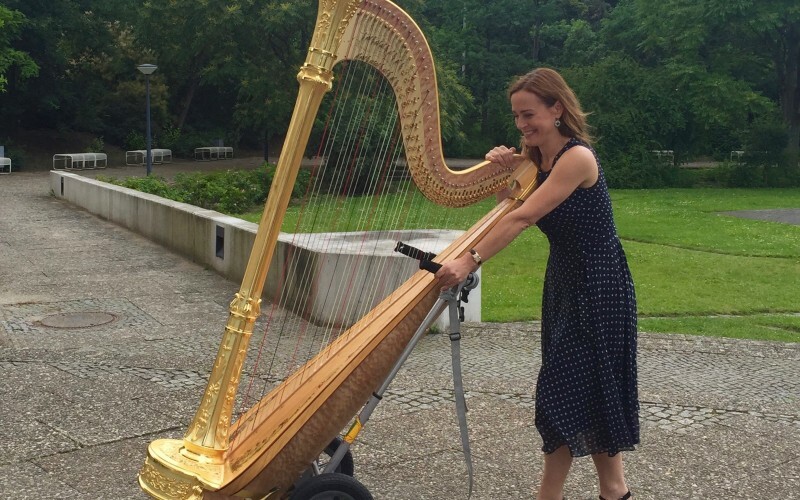 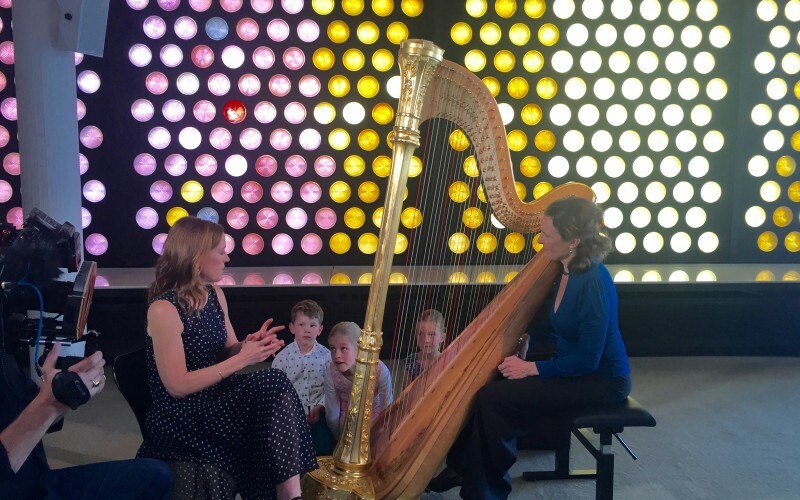 A great result is that Fridolin now wants to be a harpist!